Remember that combining Toy Story robot figure that turned Woody and pals into a giant mecha? 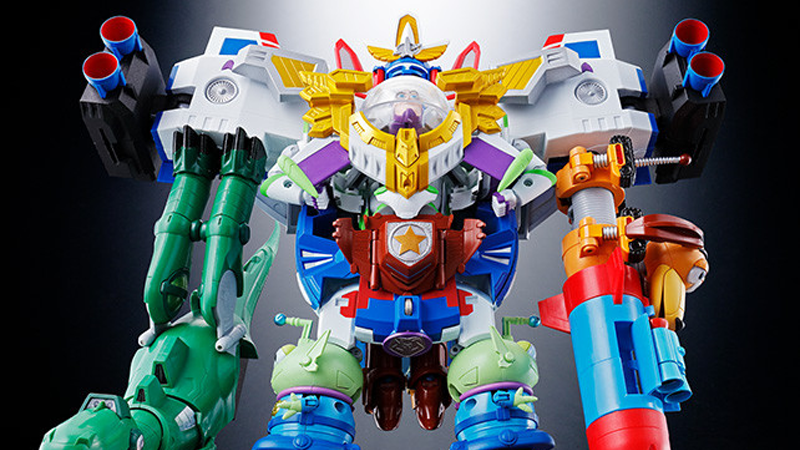 Well, not only is there a new one based on Buzz Lightyear—but the two mechs combine into one gigantic, unholy, completely awesome mess of Toy Story robot madness. That’s a name suitably ridiculous for such a ridiculous mecha—one that has a dinosaur for one arm, a missile for another, and then the head of Buzz Lightyear blankly gazing out of its upper torso. Amazing.